It’s hard to comprehend how anyone could think that beyond the horizon lies the edge of the earth. But that’s how the ancient people viewed El Hierro. Unlike the other islands in the Canaries, fewer people are visiting. As such, it retains its pristine nature and stunning geological formations. As a result, the island continues to preserve its rich culture. El Hierro, with a total area of 269 km2, is home to a little over 10,000 people. Until today, most of the island remains untouched. In many ways, it is the lack of or limited development that makes the island a prime destination. Visit sleepy villages that retains much of its heritage, or hike in virgin forests. From the black sand beaches to the peaks of mountains and volcanoes, it’s all about nature. Throughout history, some of the world’s worst catastrophes were due to volcanic eruptions. At the same time, it’s also due to a volcanic activity that led to the birth of a paradise. Once a barren land, El Hierro is now teeming with life. Its diverse terrain and ecosystem not only includes the landscape but also the sea around it. Because of sustainable development programs, the island became a UNESCO World Biosphere Reserve. Setting foot on the island is like stepping foot into another realm – a fantasy world that only exists in dreams. From the South-West to the North-West, tourists go from one world to another. Such is the diversity of El Hierro, from volcanic outcrops to fertile lands. To go from one end to another, guests have to pass through the ancient forests of pine trees and laurel trees. Still, the island is not entirely devoid of modern conveniences. For instance, there’s free WiFi across the island. Also, there’s a massive undertaking that is going to turn El Hierro into the greenest island in the world. Today, more islands in the world are using renewable energy to augment their capacities. 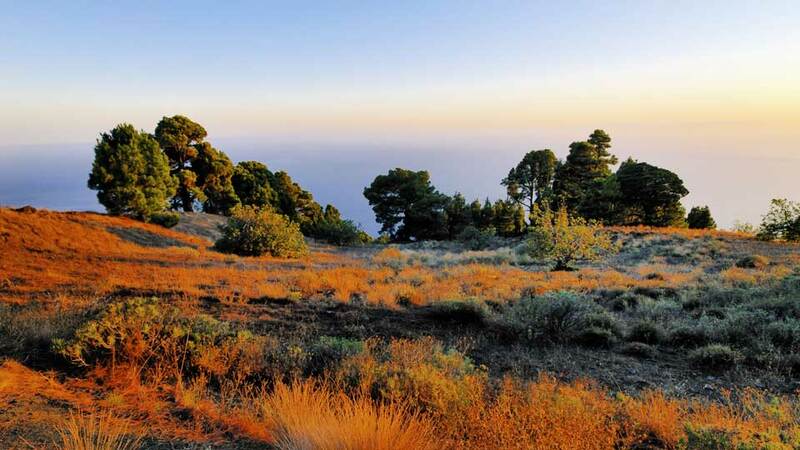 El Hierro has taken it to the next level by setting the goal of becoming the greenest island on earth. Using a combination of wind and water power, El Hierro is about to become 100% self-sufficient in energy. As such, it no longer needs to tap into the electricity grid of other islands. For El Hierro to become self-sufficient, there are necessary steps to take. For instance, one goal is to replace electric heaters with solar heaters. But using green energy is also about conservation. As such, another goal is to replace all cars with electric vehicles. In this case, the electricity used in charging the batteries will come from renewable energy. Doing so will now reduce carbon dioxide emissions. El Hierro’s natural wonders are a blessing. Hence, using green energy is a step in ensuring its preservation. More than that, it’s also proof that it’s possible. As such, the island serves as a model for others to emulate. From natural wonders to beaches and natural pools, there’s something for everyone. The charming old villages never fail to captivate the hearts and the minds of guests with its rich heritage. Besides century-old churches in towns, there are also museums, including the ones in the open. But the beauty of El Hierro is not limited to land. Beneath the seas surrounding the island, there are also spots for scuba divers. The protected nature reserve, occupying almost half of the whole island, is a world of its own. Within its enchanting forests, tourist will find the menacing-looking wind-twisted trees. These types of woods are unique to only three places in the world, and Frontera Rural Park is one of them. As such, the protected reserve and the gnarled juniper trees of El Sabinar became an icon of El Hierro. From Bascos Viewpoint, the outlying areas are a sight to behold. But instead of looking from afar, it’s better to hike through the forests of Frontera Rural Park. Mencafete Integral Nature Reserve, located within the park, is also home to endangered plants, hidden caves, and ancient laurel trees. Amongst its lush vegetation is the meandering Mencafete Spring, once a source of water for the early inhabitants. Until a hurricane took it down in 1604, the mythical Garoe Tree was the source of water for the whole island. As such, the original inhabitants called Bimbaches considered it sacred. At present, the site where it stood houses an interpretation center. Here, visitors learn about the mystical tree’s historical and archaeological importance. Furthermore, the center also explains how the horizontal rain phenomenon resulted in the tree’s ability to distill water. There is no architect, alive or dead, that is better than nature itself, and Las Playas Natural Monument is the proof. The emblematic amphitheater-like terrain is the result of a series of landslides. Cradling the stunning beach is the towering valley of El Golfo, which provides seclusion and tranquility. Here, visitors will not miss the exalting Bonanza Rock rising from the depths of the ocean. Black is beautiful, and so are the volcanic sand beaches around El Hierro. Furthermore, the ancient eruptions led to the creation of stunning natural pools and stunning rock formations. From towering cliffs and down to the clean waters, soak in the marvelous sight and take a dip. This secluded cove is only a 10-minute drive from the town of La Restinga. 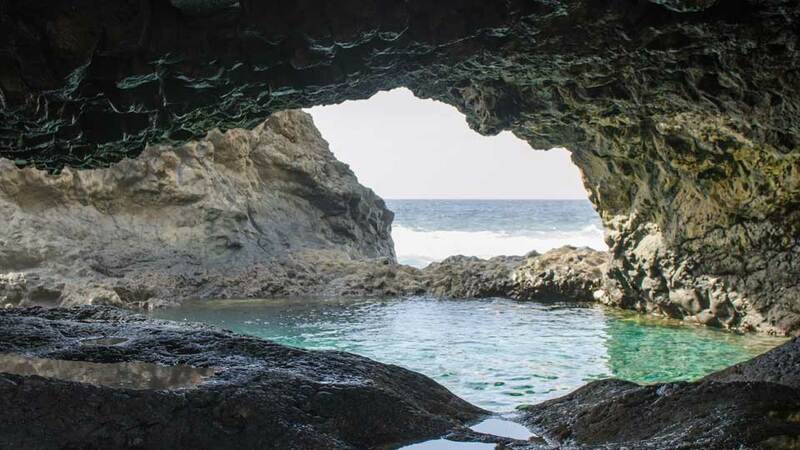 Formed by lava flow, the passage and the rock formations made it a protected swimming area. As such, even when the waters elsewhere on the island are rough, it remains calm here. In fact, locals call it Mar de Las Calmas (sea of calm). One thing many guests often do is to wait for the dramatic sunset. As the red and orange hues fill the sky, it offers a striking contrast to the blue sea and black rocks. A natural creation of flowing lava, El Hierro’s Charco Azul is a magnificent work of art. Protected by rock formations, the calm and refreshing water of the pool is ideal for a relaxing dip and swim. For many tourists, the blue pool is a perfect place to refresh and recharge after hours of hiking or sightseeing. Also, there are wooden decks close by for those who want to soak in a little sun. Out on the coast of El Golfo and around the island, the waters could be rough. At La Maceta, that is not a concern because they have natural pools built into rocks. Here, visitors get to enjoy the magnificent view of the Atlantic. At the same time, they can get in the protected pools. Because the water is dependent on tidal exchanges, it can be perfect or less than ideal depending on the time of the day. Surrounded by water, the undersea is as diverse as it is on the surface. Around the island, underwater caverns and abundant marine life are magnets for scuba divers. Off the coast of La Restinga, an incredible world teeming with life is unseen from the surface. Besides the various day and nocturnal marine creatures, the underwater terrain is also a sight to behold. As such, this area has attracted scuba divers and underwater photographers. Formed by volcanic eruptions and flowing lava, the rise and fall of cliffs set the tone for an immersing experience. For the ultimate thrill, there are several caverns for qualified divers to explore. One of the best diving spots in Punta Restinga is El Bajon. From the peaks of two submarine mountains at 6 and 9 meters, it plunges down to over 100 meters. From shallow to deep dives, the best time to descend is during high tide when there is the most marine life activity. Among its many attractions is the occasional sighting of manta rays or whale sharks. 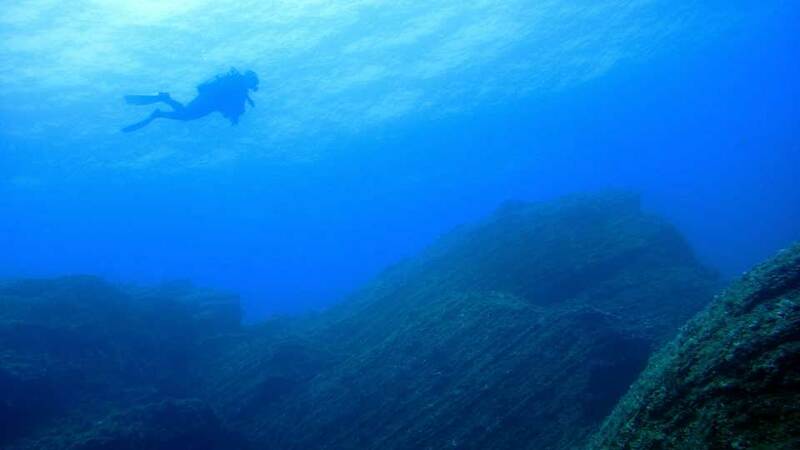 Diving off a submerged wall is one of the incredible experiences of scuba diving. Here at Baja Bocarones, that is what it offers divers with its twin volcanic rocks. The formations, shaped like columns, has one summit reaching up to 7 meters, while the other is at 12 meters. From those depths, scuba divers can glide along its wall and dive deeper. As a UNESCO World Biosphere Reserve, much of the island remains untouched. 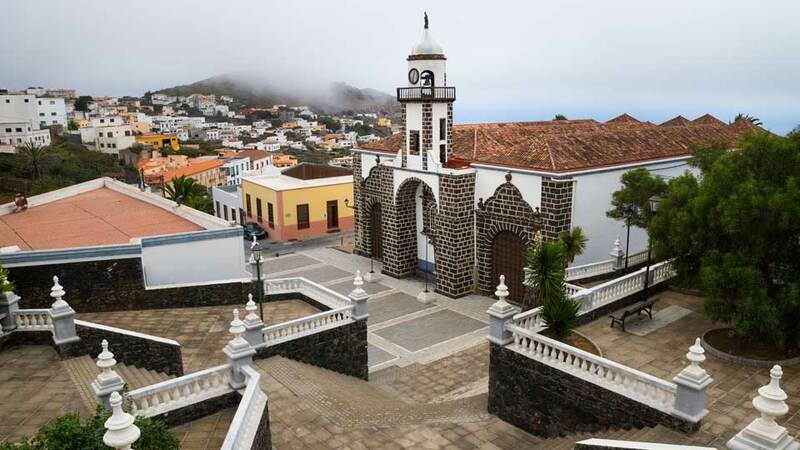 As such, a visit to El Hierro is never complete without seeing its traditional villages and historical spots. Isora, a beautiful village poised on the east of El Hierro, never fails to captivate its visitors with its tranquility and stunning views. Well-preserved houses built from volcanic rocks and adorned with beautiful gardens make up this peaceful haven. While visiting, guests can enjoy strolling in lush green pathways as well as try different kinds of local cheeses. As the day ends, head out to Mirador de Isora, for a ravishing sunset view of the valley. While most of El Hierro showcases its natural wonders, the Old Town of Valverde takes visitors back in time. Amidst centuries-old churches and traditional Canarian architecture, this administrative center offers a sneak peek into the island’s past. Cobblestone streets lead the way to the town hall, one of the most impressive structures set within a small central square. Nearby, guests can take a look at the magnificent sculpture called Cristo de Columna in the 18th-century Nuestra Señora de la Concepción. Most of the small villages in and around the valley of El Golfo have striking similarities. Los Llanillos, on the other hand, distinguishes itself with a collection of beautiful traditional houses set amidst greenery. At the same time, the village serves as a gateway to Charco Azul. A walk in the settlement never fails to calm the soul and captivate the senses so much so that many guests choose to stay for the night. As such, several residents converted their homes into rural hotels. Valverde is not the only town where visitors can have a peek at the island’s past. At Pozo de Las Calcosas, the houses built from volcanic rock and thatched roofs showcase the way of living in a bygone era. After strolling through its narrow streets, head to the base of the village and take a refreshing dip in natural pools formed by ancient eruptions. El Hierro is living proof that learning doesn’t always have to be boring. Visit the past with its open-air museums to gain an understanding of the ancient ways of life. At the same time, numerous landmarks are not only historical but also worthy of Instagram posts. 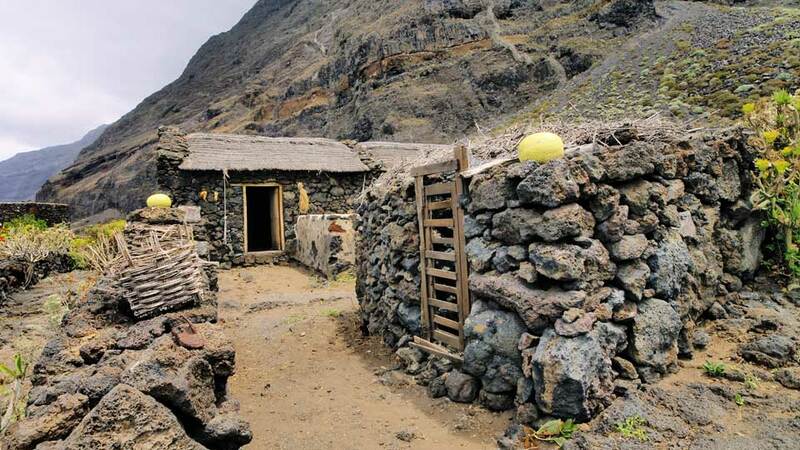 Discover how the Bimbaches (original inhabitants of El Hierro) lived their lives at the Guinea Ecomuseum. This outdoor museum in Frontera, known as the island’s leading cultural site, is a must-visit when on the island. At Casas de Guinea, marvel at the collection of 20 ancient houses and an underground lava tunnel. In essence, the rural cliff-side village presents a delightful glimpse into the island lifestyle many centuries ago. Lagartario, also in the same area, makes a visit more unforgettable. It is a sanctuary and breeding center for El Hierro’s endangered giant lizard. Here, kids and kids at heart will delight at over a dozen lizards loitering around in the enclosure. Another highly-recommended tourist enclave in El Golfo Valley is Pozo de La Salud. From the road, visitors will have to take a set of stairs that lead to the Well of Wealth. Since the 19th century, its water is believed to make sick patrons feel better, until today. Because of its popularity, it led to the building of the nearby Balneario Pozo de la Salud hotel with a particular focus on health and wellness. A masterpiece of the Canarian Architect Cesar Manrique, La Peña Viewpoint is a delight to the senses. The building, with its must-try restaurant and majestic gastronomic pleasures, is a sight to behold in itself. This state-of-the-art viewpoint, perched 700 meters above sea level, offers a remarkable view of El Golfo Valley, the ocean, and the surrounding nature’s splendor. Perched at the very edge of the valley, Bascos Viewpoint offers awe-inspiring views El Golfo’s greenery, the houses that dot the towns below and the Atlantic Ocean. 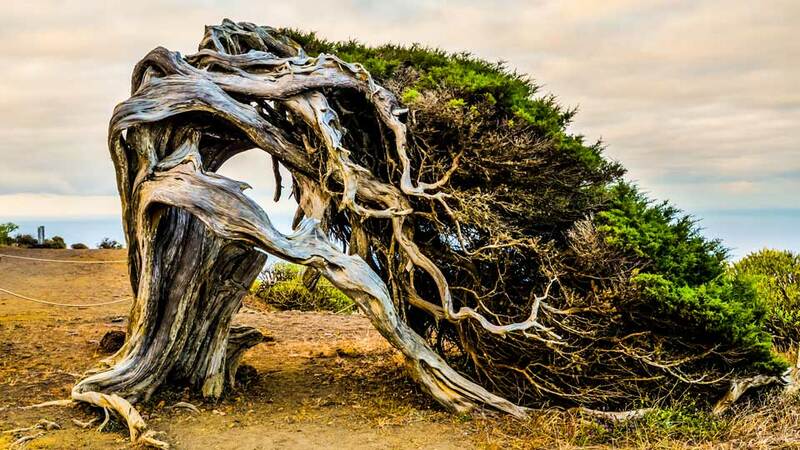 After braving through winding roads, the highlight of the spectacular scenery is the fascinating gnarled juniper trees of El Sabinar. Make sure not to miss the sunset. The viewpoint’s location on the western part of El Hierro results in some of the most dramatic sunsets in the archipelago. Getting to “the edge of the world” is relatively easy, thanks to its air and sea ports linking El Hierro to the other islands in the Canaries. Located 12 kilometers from Valverde, the island’s small airport serves Binter Canarias flights. There are daily schedules to and from El Hierro to both Tenerife and Gran Canaria. Inside the terminal, there is a bar and a shop selling maps and local products as well as car hire offices. Meanwhile, visitors opting to take a ferry from neighboring islands will arrive at Puerto de la Estaca. Naviera Armas sails once daily to and from Los Cristianos in Tenerife. The journey takes about 3 hours and costs more or less €50. Once on the island, a car hire is the best option to discover the best and remote wilderness regions. Reputable companies include CICAR, Cabrera Medina, and PaylessCAR. As an option, visitors may use the bus service. Transhierro, using a modern fleet of buses, the company covers most of the island with 12 routes. El Hierro has plenty of dining options for its vacationers. Unlike the other tourism heavyweights though, there’s no overabundance of international restaurants here. Instead, they have a plethora of family-owned ones satisfying diners for decades now. The trendy boho and artsy types are also on the rise recently, a clear proof that tourism in the island continues to grow. When in El Mocanal, don’t miss the very modest Casa Carlos for the best seafood in Valverde. Diners can also admire the ancient summer hamlet of Pozo de Las Calcosas from its broad windows. Want to try Canarian delights fused with Mediterranean, European, or Spanish flavor? Seek Guanchine Frontera in La Frontera. People who have eaten in this restaurant run by the 2-man team of David and Anna proclaim it as being the best on the island. So, it is best to make a reservation because the place is small and always full. Only a minute walk away is the heavenly Bar Joapira Restaurant. The three lovely Venezuelan ladies here serve unforgettable home-style Venezuelan and Spanish dishes. After a fun dive in the waters near La Restinga, dine at Restaurante El Refugio for fresh seafood. Here, diners can either order from the menu or the plate of today’s fish. The only dilemma they would have here is choosing from the wide selection of fresh fishes. Many first-timers often visit El Hierro for a day trip from the other islands in the Canaries. Unfortunately, a couple of hours or so is not enough to see what the island has to offer. Hence, many visitors end up planning for a more extended vacation when they return. The best thing about El Hierro is that the paradise experience starts as soon as they open their eyes. Accommodations here are often full of character. And, outside their windows, are lovely vistas ready to take everyone’s breath away. 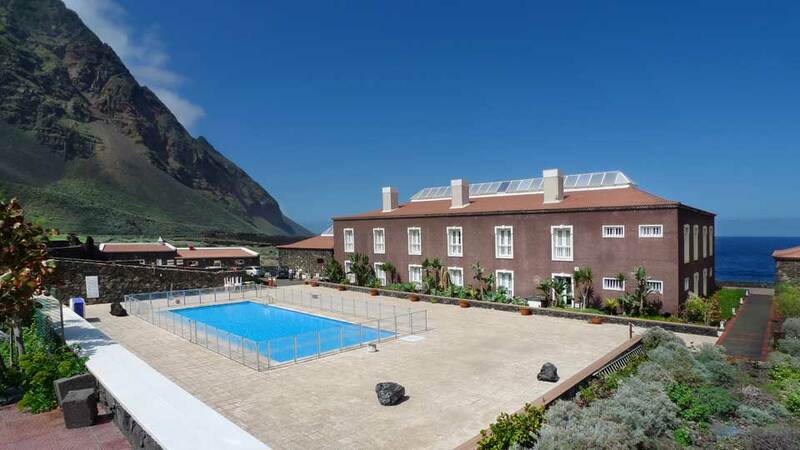 In Valverde, the secluded beachfront, with its swimming pool, Parador de El Hierro is one of the best. For a lovely holiday home in a charming town, the Casa Rural El Hondillo comes highly recommended. For those heading south to El Pinar, a hotel is not an option, but guests can choose from plenty of rentals. The 19th-century Casa Los Abuelos surrounded by orchards is a sweet home away from home. Meanwhile, Vivienda Vacacional La Roca has views of the beach and small port fit for VIPs. Tourists visiting the majestic La Frontera can either go big or small. The Balneario Pozo de La Salud is the biggest in the municipality and one of the biggest in the island. What’s more, it stands on a cliff and is on the foot of a mountain. As such, a dramatic scenery is a given. As for the ‘small’ option, it can’t get smaller than the Punta Grande Hotel. According to the Guinness Book of Records, it is the world’s smallest hotel with just four rooms. What it lacks in square meters though, it makes up for in breathtaking panoramas. El Hierro may be the smallest island in the Canaries, but it sure has a lot of titles under its belt. Nature lovers will, without a doubt, find their cup of tea with the many natural wonders the island has to offer. Striking green foliage and fertile valleys with privileged views to the deep blue Atlantic Ocean are a delight to the senses. At the same time, the deserted and sparsely populated areas also offer their unique brands of amusement. There are a limited number of beaches on the island, but travelers may enjoy different swimming experiences at some of the natural pools on the island. Theme parks do not exist, but visitors will surely find the recreational areas with picnic tables and barbecue spots more than sufficient for a family day out. When people in the past thought El Hierro was the edge of the earth, they were right. Perhaps no one can explain the many faces of the island, from geologic wonders to arid landscape, and to the lush flora and fauna. But one thing is for sure – people can experience it by visiting.